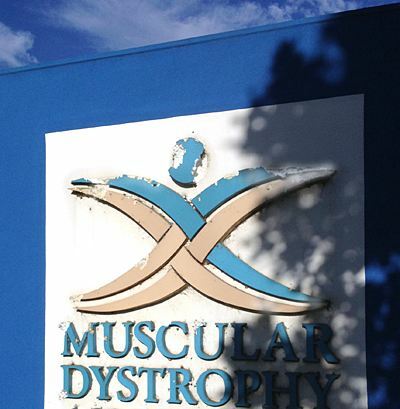 The Muscular Dystrophy Australia building has had a face-lift with a brand new sign kindly being donated and installed by Signcraft. The previous sign lost its battle against a feeding frenzy of cockatoos which ultimately left it partially chewed and in disrepair (see the old sign at end of article below). Fortunately, Signcraft came to MDA’s rescue with a new and improved ‘bird-resistant’ 2.5 square metre sign. MDA is very grateful for the generous donation of both the vibrant and professional looking new addition to the front of the offices and also for the time and care taking by the wonderful staff at Signcraft. The new 2.5 square meter MDA logo at The Home of MDA featured above. And while on site at The Home of MDA, the expert Signcraft people proceeded with the installation of a billboard in the Café MDA area, however, this is no ordinary billboard rather it is a piece of history. The billboard is one of the last remaining out of thousands that were featured all over Victoria and New South Wales in the 1980s. 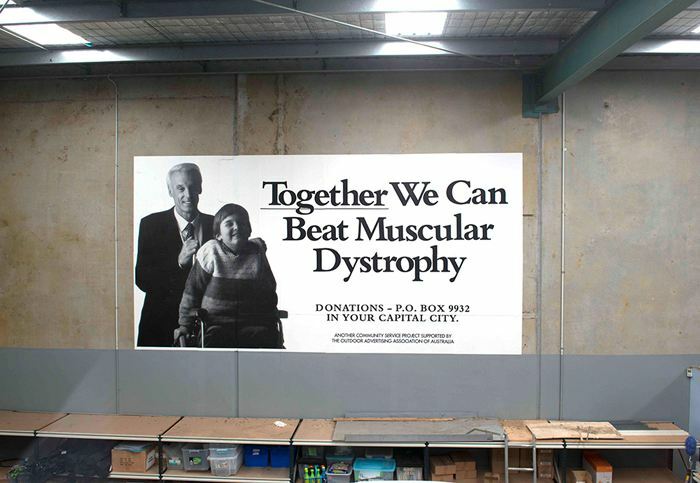 Featured in the picture are Bob Ansett and Ryan in a campaign promoting Muscular Dystrophy with the slogan “Together We Can Beat Muscular Dystrophy”. Thank you Signcraft for the expert installation of our piece of history.